U.S. Secretary of Commerce Penny Pritzker traveled to Atlanta, Georgia this week to emphasize the importance of helping U.S. companies launch and increase their business in Africa at the “Discover Global Markets: Sub-Saharan Africa” Conference. The event brought together U.S. government officials, visiting U.S. commercial diplomats posted at embassies throughout Sub-Saharan Africa, international business leaders, trade finance experts, and others to help companies identify and develop trade and investment opportunities on the continent. Secretary Pritzker reiterated America’s commitment to solving the Ebola crisis, while emphasizing that fears about the virus should not get in the way of the facts on the ground in Africa. Ebola is confined to just three countries with a total population of roughly 21 million, while the entire African continent is home to 1.1 billion. The world public health apparatus is actively engaged, and doctors, nurses, and medical workers are using the proper protocols to treat patients and to slow the number of new cases. Efforts to eliminate the virus are starting to turn the corner, and growth of the disease is slowing in Liberia. Despite the challenges presented by Ebola, Africa presents tremendous long-term growth opportunities, and both the U.S. government and the U.S. private sector are committed to deepening our economic and commercial engagement on the continent. Africa is home to six of the ten fastest-growing economies in the world – including Chad, Congo, the Ivory Coast, Mozambique, Ethiopia, and Sierra Leone. Real income has increased more than 30 percent, reversing two decades of decline, and GDP is expected to rise 6 percent each year over the next decade. By 2040, Africa will boast a larger workforce than either India or China. 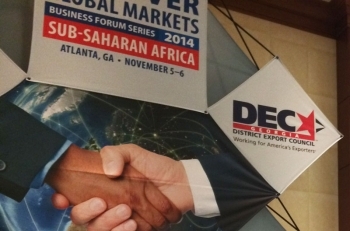 The Discover Global Markets Forum served to increase economic and commercial engagement in Africa by helping companies launch or increase their business on the continent. The event also built on the success of the first-ever U.S.-Africa Business Forum, which the Department of Commerce co-hosted in August. This Forum brought together hundreds of American and African chief executives officers with nearly every African head of state to spur more trade and investment between the United States and Africa. At this Forum, U.S. firms announced more than $14 billion worth of investments throughout the continent. Earlier this month, the U.S. Department of Commerce and Bloomberg Philanthropies co-hosted an event showing that Africa is one of the world’s next great sources of economic growth. 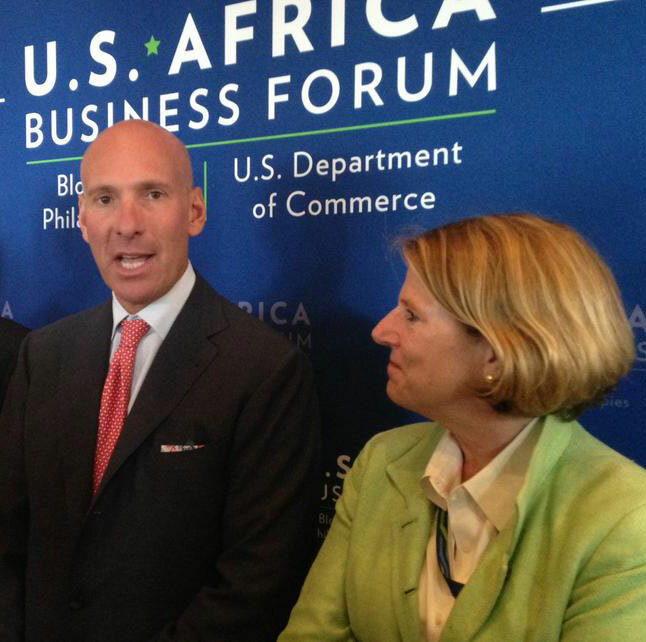 The first-ever U.S.-Africa Business Forum brought together American and African business leaders with the heads of nearly 50 African nations to exchange ideas and create partnerships that will promote trade, accelerate job growth, and encourage investment. And this was not just an academic discussion. We built the kind of relationships that will help usher in a new level of success for the growing economies and businesses of Africa, as well as spur real gains for U.S. companies. GE will help build African infrastructure, investing $2 billion to develop its supply chain, train employees, and improve sustainability in Africa. Also, as part of the White House’s Power Africa initiative—which pledges to invest $7 billion and create an additional 10,000 megawatts of cleaner electricity over the next five years— American company Contour Global secured a $120 million contract to rehabilitate an existing Senegalese power site and construct a new one. That deal will provide another 53 megawatts of electricity to Senegal’s citizens. As excited as my colleagues and I are about these deals, contract signings weren’t the only highlights of the forum. In case you missed it during the U.S.-Africa Business Forum last week, the International Trade Administration (ITA) published a report that shows that the U.S. trade relationship with Africa is growing at an increasing rate. ITA’s Report on U.S.-Africa Trade and Investment examines the economic statistics related to U.S. commercial involvement in sub-Saharan Africa (SSA) – one of the world’s fastest-growing economic regions. The report is part of the Doing Business in Africa (DBIA) campaign, through which federal trade agencies are joining forces with U.S. businesses to take advantage of the growing export and investment opportunities available in the region. 1. Sub-Saharan Africa is one of the fastest growing regions in the world. Average GDP growth has surpassed 5.2 percent three straight years. The International Monetary Fund estimates that this will increase in both 2014 and 2015. 2. U.S. exports to SSA are at record levels. Merchandise exports reached $24 billion in 2013, an increase of $8.8 billion from 2009. The past decade saw the largest increase in value of U.S. exports to sub-Saharan Africa in history; U.S. goods exports have increased by 130 percent since 2000, or an average of 6.7 percent annually. 3. Small and medium-sized businesses are finding success in SSA. More than 92 percent of businesses exporting to Africa are considered small and medium-sized enterprises—those with fewer than 500 employees. They accounted for a 53 percent increase in the value of exports to the region from 2009-2012. 4. Most export growth originates from Texas, Louisiana, New York, Illinois, New Jersey and Georgia. In total, these states accounted for 60 percent of total exports and more than 70 percent of growth in exports to SSA in 2013. Mineral fuel and oil drilling, automotive parts and supplies, precious metals, and boilers and machinery parts are the top export sectors to SSA common among these states. 5. Total U.S. Foreign Direct Investment (FDI) in Africa has grown by 37.5 percent since 2009. While world foreign direct investment position in 2012 was 27 percent greater than in 2009, U.S. FDI position grew by 40 percent during that period. As evidence of the report’s positive outlook for U.S. trade with Sub-Saharan Africa watch this short video of many of the deal signings that happened last week at the U.S.-Africa Business Forum. If your business is ready to do business in Africa, visit Trade.gov/dbia or contact your nearest Export Assistance Center. For the first time since the Obama administration’s “Doing Business in Africa” initiative went into effect, an aviation company has landed a multi-year deal in Africa. AAR, a global aerospace, government and defense contractor, recently announced a five-year deal with Kenya Airways. Under the conditions of this multi-million dollar accord, Kenya Airways agrees to provide power-by-the-hour component support for its fleet of 737NG aircraft, while AAR places inventory on site in Nairobi and offers rotable pool support from its newly established supply chain in Brussels. The U.S. Department of Commerce’s leadership and staff from Washington D.C., Chicago and the U.S. Embassy in Kenya aided the finalization of this arrangement by connecting AAR’s top executives with African government and business officials during a visit to Nairobi, Kenya. The successful advocacy strategy was also supported by several inter-agency partners including the U.S. State Department. 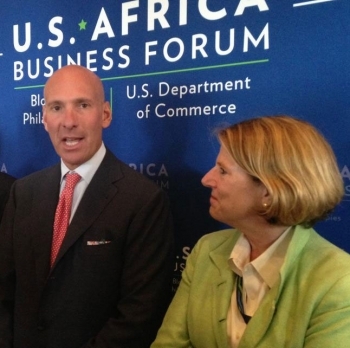 Deals like these are one of the key reasons the U.S. Department of Commerce and Bloomberg Philanthropies hosted the inaugural U.S.-Africa Business Forum on Tuesday. The event, part of President Obama’s U.S.-Africa Leaders’ Summit, focused on trade and investment opportunities on the continent. The Forum highlighted U.S. private sector engagement in Africa in the areas of finance and capital investment, infrastructure, power and energy, agriculture, consumer goods, and information communication technology. Heads of state engaged with business executives from both sides of the Atlantic in conversations about successes and solutions to build greater access for trade and investment in Africa. The day served as a catalytic opportunity for American companies to increase economic partnerships and investment in Africa and ended with the announcement that U.S. companies plan to invest more than $14 billion in the continent. While these announcements and deals are exciting moments, they take great preparation and negotiation. For example, AAR contacted the U.S. Department of Commerce’s Advocacy Center for assistance in reaching decision-makers at Kenya Airways, including the CEO. Over the course of several months, AAR representatives were provided with assistance on meeting legal requirements, establishing business protocols, and cultivating key business relationships in Kenya. The advocacy effort was brought to the attention of then-Acting Commerce Secretary Rebecca Blank, who in late 2012, personally advocated on behalf of AAR to Kenya Airways and government officials during her trip to Nairobi, Kenya; providing an additional measure of support which helped secure the business deal for AAR. Yesterday, at the U.S.-Africa Business Forum, U.S. Secretary of Commerce Penny Pritzker highlighted a number of Commerce Department efforts to help more American businesses explore opportunities in Africa’s fast-growing markets. The Forum, focused on trade and investment opportunities on the continent, was part of President Obama’s three-day U.S.-Africa Leaders Summit, the largest event that any U.S. president has ever convened with African heads of state or government. 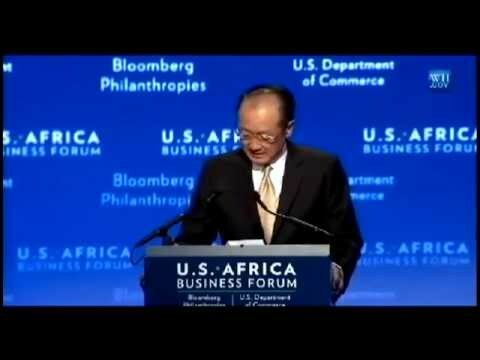 Co-hosted by the Department of Commerce and Bloomberg Philanthropies, the U.S.-Africa Business Forum was created to encourage greater U.S. investment in Africa, foster business deals, and help create jobs on both sides of the Atlantic. 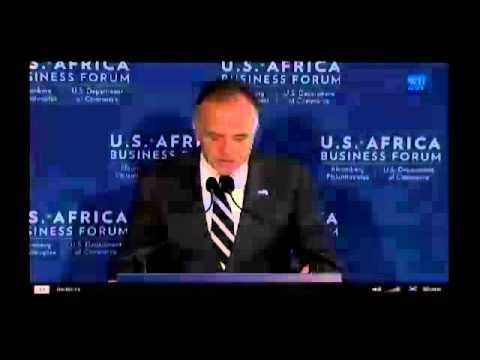 During remarks at the Forum, President Obama announced that U.S. businesses have already committed to investing $14 billion in clean energy, aviation, banking, and construction projects, among other commitments totaling more than $33 billion that support economic growth in Africa and thousands of U.S. jobs. The Commerce Department leads the Doing Business in Africa (DBIA) campaign, which was launched in 2012 as part of the President Obama’s “U.S. Strategy Toward Sub-Saharan Africa.” DBIA aims to increase U.S. trade promotion to Africa, address market barriers, expand the availability of trade financing, and attract more American companies to explore sub-Saharan Africa trade and investment opportunities. 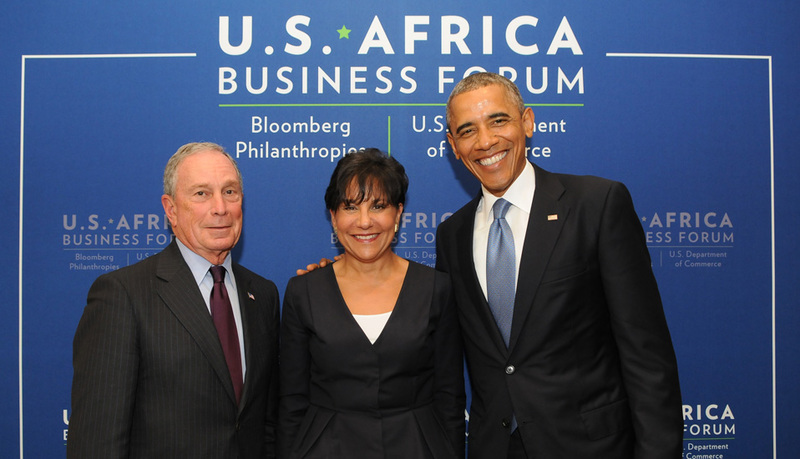 In an op-ed published by Forbes, Secretary Pritzker and Michael Bloomberg touted the business deals signed during the forum and made the case for Africa as a prime investment location. “We know what is possible when American companies work hand-in-hand with African counterparts: we can help raise living standards and pave the way for future growth.” One example of the benefits of these partnerships can be seen through IBM, who opened Africa’s first major commercial technology research lab in Kenya to pioneer consumer-facing innovations aimed at African markets. This forum was only the beginning, and highlighted American companies willingness to increase their economic partnerships and investment in Africa. 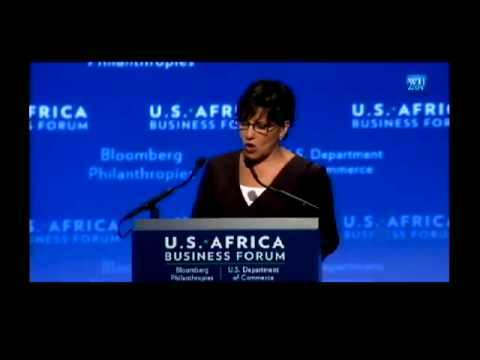 U.S. Secretary of Commerce Penny Pritzker delivered opening remarks at the U.S.-Africa Business Forum, a day focused on trade and investment opportunities on the continent. In her remarks, Secretary Pritzker stated that the U.S.-Africa economic relationship is fundamental to our mutual peace and prosperity. She discussed the work that the Commerce Department is doing to advance President Obama’s vision for the future of U.S.-Africa relations, including expanding the Foreign Commercial Service presence across the continent. She announced that the Department of Commerce and the U.S. Trade and Development Agency will lead 10 new trade missions to Africa and 10 reverse trade missions to the United States by 2020. She also announced the start of NIST’s Global Cities Challenge to catalyze the development of “smart cities,” as well as the launch of a new web portal for American businesses to explore opportunities in Africa. We want to make doing business in Africa easier for every business. 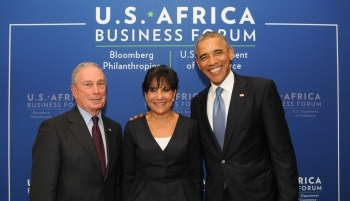 Noting that increased trade and investment in Africa will spur growth on both sides of the Atlantic, Secretary Pritzker expressed her hope that the business and government leaders will keep the U.S.-Africa partnership open for more growth and success. The United States understands the importance of creating opportunities for young people to succeed, both in this country and around the world. That is why yesterday, during a town hall with 500 exceptional young people who participated in the Washington Fellowship for Young African Leaders - President Obama announced the expansion of his Young African Leaders Initiative (YALI). 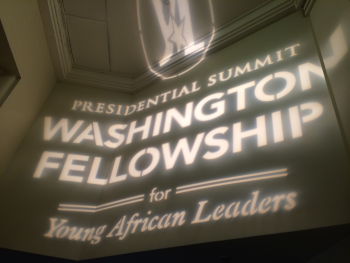 At the town hall, President Obama announced that the fellowship, the flagship YALI program, will be renamed the “Mandela Washington Fellowship for Young African Leaders,” and will be doubled to reach 1,000 participants per year by 2016. Launched in 2014, YALI is a signature effort to support the next generation of African leaders and embodies President Obama’s commitment to invest in the future of Africa. The Washington Fellowship connects young African leaders to leadership training opportunities at some of America’s top universities to help expand their leadership skills and knowledge so they can foster change in their communities and countries. At the Commerce Department, we are also working closely with young entrepreneurs to help spur economic growth by helping them gain the skills and connections they need to launch new businesses and create jobs in their communities. Entrepreneurship is a cornerstone of the global economy, giving people the power to unlock their economic potential and transform their communities. With the launch of the Presidential Ambassadors for Global Entrepreneurship (PAGE) initiative, chaired by Commerce Secretary Penny Pritzker, the U.S. government is partnering with 11 prominent American business leaders to mentor the next generation of entrepreneurs. Africa is an area of interest for PAGE efforts. In fact, as part of a trade mission to West Africa this past May, Secretary Pritzker and PAGE member Nina Vaca, CEO of Pinnacle Technical Resources, visited the Meltwater Entrepreneurial School of Technology (MEST) and the MEST Incubator program, which provides training, investment and mentoring opportunities for aspiring technology entrepreneurs in Africa. In addition, PAGE members Steve Case, Chairman and CEO of Revolution, and Alexa von Tobel, CEO of LearnVest, will be sharing their experiences and expertise on Wednesday on an “Enabling Inclusive Economic Development” plenary session, as part of the fellowship Summit.